One of the areas that technology is having its greatest impact on, is within the education sector. Technology today is improving, enhancing and facilitating learning at all levels of education. 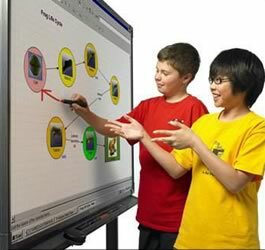 Embracing the latest technologies, we have a wide variety of solutions and support to enhance the interactive classroom experience, as well as injecting a burst of excitement into the classroom. We will design and arrange to install any necessary system, including PA and sound systems, causing as little disruption to your educational environment as possible. We have a dedicated team who specialise in education environment solutions. 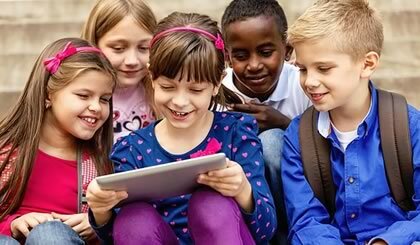 They have previously supplied schools with hundreds of iPads working with them to ensure the security and working them into a classroom environment. We have a dedicated apple sales person who has extensive training regarding apple products, we also have a member of the team who has worked in the industry for over 10 years devising solutions for an education environment. We have the ability to design websites and software tailored to your needs and have worked hard on building relationships with many suppliers and can proudly say we are a certified Microsoft Authorised Educational Reseller. Please call 01909 518811 or email education@opus-uk.co.uk for more information on our products and services. 74% of teachers say "Educational Technology is a Student-Motivator"
Call us on 01909 518811 or contact us via email at education@opus-uk.co.uk and see how we can help you.